Just thought I'd drop a quick newbie guide after playing last night with some folks who weren't in the beta. If on console, you must have XBox Live Gold or PSN to play, there is currently no offline version. You get a S.P.E.C.I.A.L. point every level until level 50, and can pick a Perk card for that attribute (look up the Perks on the wiki to help plan your build). Perk card packs every few levels help you further flesh out your character, don't base your build on chance! Unlike games like Ark, your body and C.A.M.P. do not persist on the server when you log off. You will almost never log back on to the same server you logged off of. Do not fear! As long as no one on a server you are logging into has placed a C.A.M.P. in the same place yours would be before you log on to said server, yours will be put in the same place. Like games like Ark, you must eat and drink, or suffer penalties or death. There are also diseases. Public Settlements are not like the C.A.M.P., and progress on one will not carry over to other servers. Public Settlements are open PvP, don't engage one unless you are willing to auto-consent to PvP. Plans and Recipes, when picked up, are not automatically learned. You need to go into the "Notes" and "use/consume/read" them to learn them. You will not be able to "consume" a plan/recipe you already know, you can give it to a buddy instead, or trade it! Weapons have level requirements and their strength will correspond to their level. You cannot enter a suit of unclaimed power armor if there are components on it above your level, you will need to remove them first. Power armor frames can be "Placed" or "Dropped". If placed, other players should be unable to enter it. if dropped, you've technically discarded it. You can then enter or "Collect" it, collecting will put it into your inventory. Stash boxes are viewed by each player as their own. Your buddy can use your stash box you put in your camp, but will only see his own stashed goods. Some C.A.M.P. structures produce resources. Some of these can be locked, and players will have to try to lock pick them to take from them (which will flag them as wanted). Some, like crops, can not be locked. Unlike FO4, "stored" structures from your C.A.M.P. have their own tab instead of being auto-placed when you place a piece of the same type. 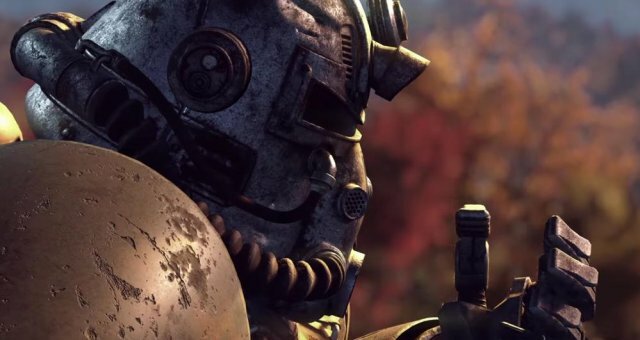 Unlike FO4, but like FO3 and NV, weapon and armor condition returns. Unlike the previous games, you repair them with scrap, you don't need a laser rifle to repair a laser rifle. You can make ammunition at the Tinker's Workbench. Gunpowder for ammunition will not appear in junk, it will be in Misc. Store it frequently to save on weight in your inventory, and make some bullets! You can fast travel, but with the exception of Vault 76 and friendly C.A.M.P.s, you will have to spend caps to do so. You can pick up wood from logs and woodpiles, you don't need to search for wooden clubs and pool cues like in Fallout 4. You can unlock mods for weapons by scrapping the extras you find, but will need the right Perks to actually craft some of them.